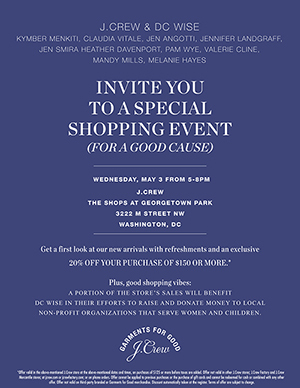 dc wise + j.crew “shop for a cause” event is May 3rd from 5-8pm! Please join DC Wise for the annual DC Wise + J. 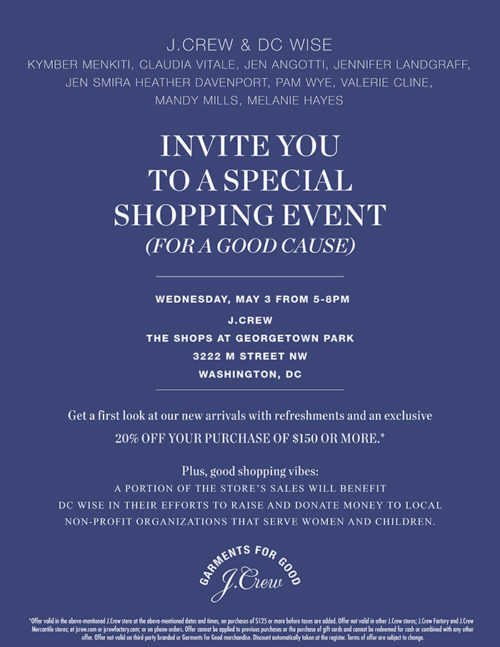 Crew “Shop for a Cause” event today from 5-8pm at the Georgetown J. Crew. Crew Cuts, Men’s and Women’s fashions will be eligible for the 20% discount on $150 or more. See you tonight!